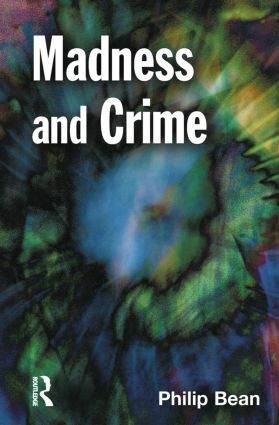 This book provides an authoritative and highly readable review of the relationship between madness and crime by one of the leading authorities in the field. The book is divided into four parts, each essay focusing on selected features of madness which have relevance to contemporary society. Part 1 is about madness itself, exploring three main models − cognitive, statistical, and emotional. Part 2 is a short discussion on madness, genius and creativity. Part 3 is about the much neglected area of compulsion, an issue that has largely disappeared from public debate. The mad may have moved from victim to violator, yet fundamental questions remain − in particular how to justify compulsory detention, and who should undertake the process? The answers to these questions have sociological, ethical and jurisprudential elements, and cannot just re resolved by reference to medical authorities. Part 4 is about the links between madness and crime − focusing less on the question and nature of criminal responsibility and the various defences that go with this, more on the links between madness and crime and which particular crimes are linked with which types of disorder.